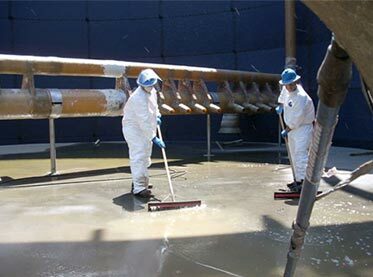 Environment Cleaning Technicians have to undergo training and obtain licensing certifications to be able to handle some of the more hazardous work often required in an industrial cleaning project. The work can be performed safely if the technician has the the right gear, equipment, and proper training. Combustible Dust Cleaning is one example of industrial clean-up that can be hazardous. Having an untrained contractor to undertake this type of work can lead to disaster not only for the worker and his or her family but also from a liability perspective for the manufacturer. This is but one example of why hiring a certified and training industrial cleaning contractor is not only practical but a requirement.